Situated at a distance of 35 km from the city of Satara is the pilgrim town of Wai, which is home to more than 100 odd temples. Most of the temples here follow the Hemadpanthi style of architecture, which uses huge stone slabs in its construction without mortar. Wai was also known as Viraat Nagari, as it is believed that the Pandavas stayed here with King Viraat of Wai during their exile period. The town was then an important place for business and commerce as traders often stopped here on their way to Satara and Kolhapur. The town is located amidst six forts namely Pandavgad, Kindergad, Kamalgad, Vairatgad and the twin forts of Chandan - Vandan. The forts are considered to be hotspots for trekking enthusiasts and most of them are not completely ruined. Wai also offers one some breathtaking views of the hills and valleys. Best Time To Visit: Wai is a year around destination, however, the months from June to February are considered to be the best months to pay a visit to this town. Ganesh Chathurthi is celebrated fondly here, so that would also be a good time to visit. By Air: The nearest airport is the Pune Airport, which is located at a distance of 66 km from here. The airport is well connected to all the major cities across the country such as Delhi, Bengaluru, Chennai, Hyderabad etc. By Train: Located around 40 km away from here, Satara is the nearest railway station, which is connected to the major cities of Maharashtra. It also is linked to cities like New Delhi, Bengaluru, Thiruvananthapuram, Chennai etc. By Road: One of the best ways to reach Wai is by road. The town is well connected by roads and there are regular buses which operate from major cities to Wai. The total driving distance from Mumbai to Wai is around 230 km. To reach Wai from Mumbai one can follow one of the below mentioned routes. Route 1: Mumbai - Rasayani - Lonavala-Pimpri - Chinchwad - Pune - Khandala-Wai via Mumbai - Pune highway and NH 48. If you are taking the Route 1, it would take you around 4 h to cover the distance of 230 km from Mumbai and via Route 2 it would take you around 6.5 h to cover the total distance of 262 km. Pune is a city which exhibits a perfect balance of the historic India and the modern India. The place showcases a rich cultural heritage and the credit for this goes to the Maratha Peshwas, who had made the city as their home. The city is now considered as the Cultural Capital of Maharashtra as it houses various educational institutions, which makes it a hub for youngsters. The Shaniwar Wada is one structure here that stands as a fine example of the rich heritage left behind by the Marathas. 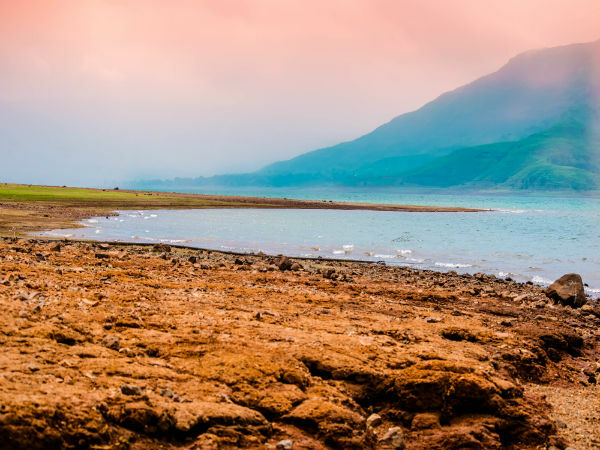 This cultural capital is the second largest city in the state of Maharashtra which is surrounded by hills, lakes and waterfalls that originate in the Western Ghats. The Aga Khan Palace, Pataleshwar Cave Temple, Shaniwar Wada and Parvati Hill are some of the major places to visit here. Wai is also known as Dakshin Kashi, owning to the fact that the city has 100 odd temples. The town is known for its ghats which are situated on the banks of river Krishna and also for its temples. The Dholya Ganapati Temple on the Ganpati Ghat is one of the most well-known temple in Wai. The Dholya Ganapati Temple was built by Raja Bhoja in the 17th century. The temple was constructed to protect the town from being attacked by any sort of calamity and from enemy attacks. Dholya in translation means huge and the idol of Ganapati measures 10 ft in height and 8 ft in width. The next attraction here is the Nana Phadnavis Wada, which is a large quadrangular perimeter protected mansion and was constructed in the year 1780. The wada has an inner courtyard and also a ghat which takes to the river Krishna. The Wada has two shrines within it, one dedicated to Lord Vishnu and the other to Lord Shiva.